Dan Johnson’s books of poetry are Come Looking (WWPH, 1995), Glance West (Sedwick House, 1989), and Suggestions from the Border (State Street Press, 1983). His poems have appeared in a variety of journals, including Hawaii Review, Gargoyle, Washington Review, Kansas Quarterly, Lullwater Review, West Branch, Wordwrights, Antietam Review,and Folio.Johnson graduated from American University in 1974 with a BA in Literature and studied at Bread Loaf. He co-edited Window magazine from 1976-81 and has worked in Maryland’s poetry-in-the-schools program and at the Writer’s Center in Bethesda. He is a former president of Washington Writers’ Publishing House. Johnson is Communications Director for the National Ecological Observatory Network (NEON) in Washington, DC, and lives in Chevy Chase, Maryland. and there is no stopping us now. through the aisle like zombies. the oddly exposed back porches. the cloudy light slanting in. name and face to carry home. To a slope the storm is turning white. It is a sound from everywhere at once. A voice in the dark, like ours. A: I think Marty Galvin called to give me the news. The book was published in 1995, so I must have heard about it in 1994. I had been a finalist at WWPH in 1993 (53 manuscripts were submitted that year) and had received a note from Naomi Thiers encouraging me to submit again. The manuscript for Come Looking (then titled Thorns) had also been a runner-up in the Four Way Books competition in New York. They offered to pass it into the finals the following year. I decided to go with WWPH because I was familiar with the press and many of its authors, and I appreciated the local focus. I remember the boxes being delivered on the front steps. I thought, “Where am I going to put these!” I had worked with Jeanne Krohn on the cover design, so I knew exactly what to expect. 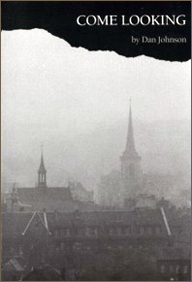 (Page Chichester’s cover photo, “Daybreak, Erfurt,” depicts a scene of rooftops, buildings, and church spires that appear to be swathed in a romantic fog. But the fog is actually coal pollution in a town in what was then East Germany.) Still, seeing the books stacked up was thrilling. There’s a sense that when you first encounter your poems fixed in a sequence, you’re seeing them for the first time. That’s a coming-out moment that stays with you for a while. I try to stay open to observation, imagination, and experience. I don’t usually begin writing with an end in mind or a pre-defined concept to develop. I find it helpful to be open to suggestion and surprise. Rather than writing about “Freedom” from the outset, I might discover through the writing what it could feel like to emerge from a box or a cave, then write in that direction. I wouldn’t know where that could go unless I kept writing. I’ve been working in this way for quite a while. Words themselves are powerful triggers that can move you forward. I suppose my language is often associated with “nature” — weather, landscapes, birds and animals. I write mostly free verse, and often experiment with prose poems. I had some encouraging experiences writing and publishing poems in high school. In college I became comfortable with the idea that I was becoming a writer. Working with Henry Taylor in his workshops at American University in the early 70s was a big step. I had joined the club in some formal sense by then. I’m a morning person, but I don’t have a set writing routine. I write much more rapidly now than I did in the past. I used to produce a dozen or more drafts of each poem and work back and forth among them to arrive at a “best” version. When a title came to mind, it was a signal that I was nearly finished. Now, I maintain a couple of notebooks that have various poem notions mixed together, and lists of titles and phrases that interest me. It’s my compost heap. When I get a half hour to write, some of that material inevitably comes to mind and connects to things (sometimes tiny fragments) I’ve experienced or read or can imagine or remember. I write in brief bursts, and most of the poems are short. The process feels linear while I’m writing. I’m still a perfectionist at heart, but I think I’ve internalized this habit of writing at a fast clip and that it helps me find the end points. That said, some poems still take a long, long time. I don’t know how unique my writing style is. I like short poems, so I feel a kinship with the work of Bill Stafford, Emily Dickinson, William Carlos Williams, Stephen Crane. I’m very interested in what can be done within the confines of a single page. Whatever my style is it, it has to with rising to that occasion: finding language that can be expansive or have its impact in a small space. How can relatively short poems be complete or compelling experience? I’m not a part of the scene as regularly as I used to be. Editing Window and working at The Writer’s Center back in the day naturally led me into that world of giving readings and circulating in various ways. 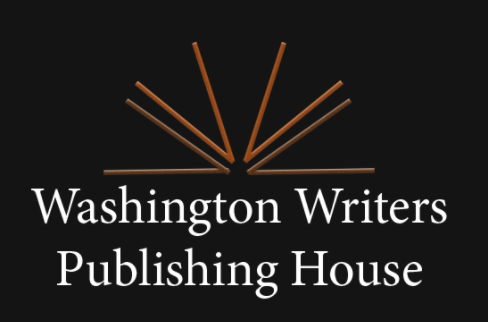 I was deeply connected in 1995-2001 by being president of WWPH and hosting a reading series on Capitol Hill. Right now I write a lot about science for my day job and focus on writing the next poem. I like to get out and hear lectures and readings from time to time, poetry and other genres, and to hear music. Earlier this year I gave a couple of readings in Boulder, one of them with a backing band, which was a new experience. Henry Taylor was and is a terrific model and guide. He at once connected me to the richness of literary traditions and the primacy of finding my own way. 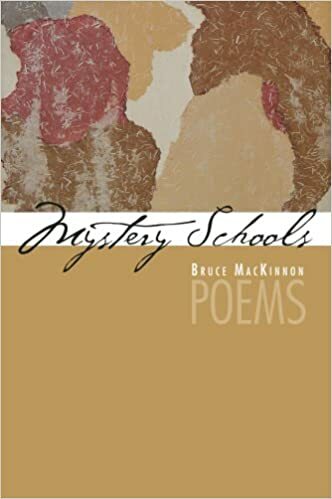 He put the students in his AU workshops through a variety of formal exercises—sonnets, sestinas, other forms assigned or invented—the idea being that you didn’t have to write in received forms, but you had to earn the right to reject them. Bill Stafford’s open and receptive approach to writing has continued to be revolutionary for me for decades. Bill was among those prolific artists that I admire because they just keep at it no matter what. The “fine excess” of Picasso and Bob Dylan comes to mind. If I had to pick a favorite it would be the Collected Poems of James Wright. I would also append the Watershed recordings of Henry Taylor, William Stafford, and James Wright. Their voices run like a current underneath my own way of reading a poem. Bill Stafford: Accept what comes. Revise outward. E.L. Doctorow: Writing is like driving at night in the fog. You can only see as far as your headlights, but you can make the whole trip that way. Adrienne Rich: Love what you’re doing, not what you’ve done. Bob Dylan: Inspire yourself with the first line, then ride it like a bull. Never give up. Poet in residence at Children’s Hospital. I would be stimulated by an island or a coastline or mountains. The traveling itself probably matters as much to me as the destination. 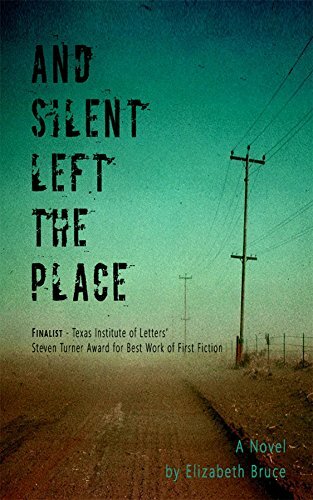 Jimmy T’s on at 5th and East Capitol, Las Placitas on 8th St. SW.
More hauntingly than any other poems I know, Dan Johnson’s combine quietness and urgency. He sees a world I recognize as mine, yet in his calm observations of it, there is almost always something ominous. The miracle is that he can do this without being evasive or merely portentous. This is a splendid collection, with strength for a lifetime’s rereadings. The poems that make up Come Looking have an ear for that which is not often heard and an eye for what we often pass by in disregard. Dan Johnson’s is a poetry of heightened listening—to signals that are barely audible, to gestures that sometimes mimic silence. “I find your voice between gusts of snow / Where the tunnel of my vision clears,” he writes in the title poem. 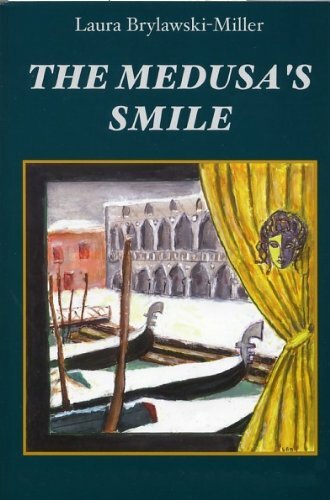 This is a poetry that honors the seriousness of our encounters in the world, brief and evanescent as they may be.